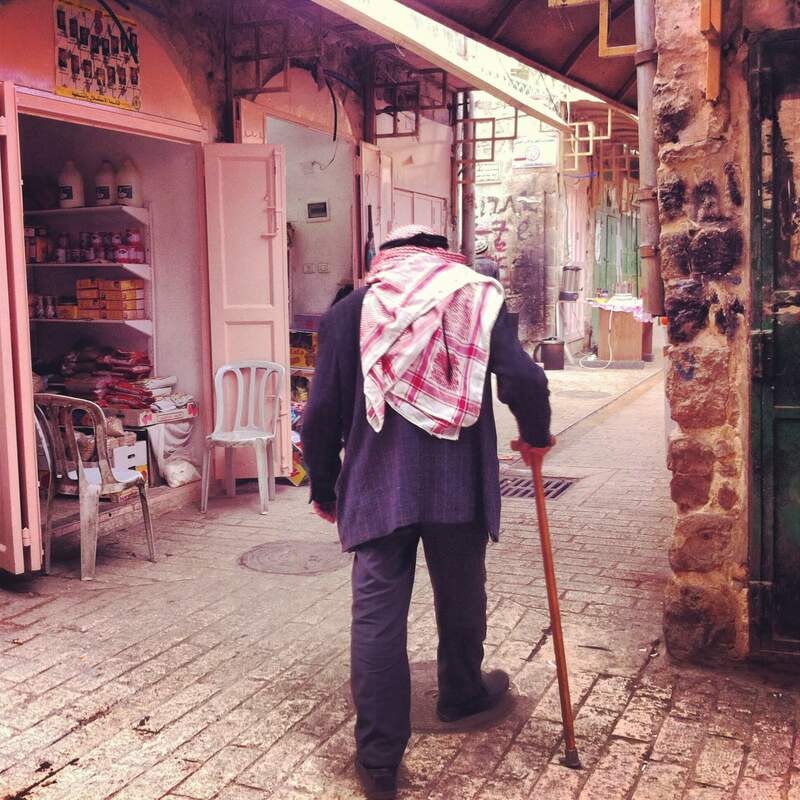 With the anniversary of the 1948 Nakba just passed, Sara Saleh reflects on how storytelling can be a form of resistance in the quest for the right of return to the Palestinian homeland. For those who resisted and were martyred at the gates. And justice collapsed at the gates of the city. Fairouz’s anthems play repeatedly throughout the different cities of Palestine, as though the iconic Lebanese singer’s odes are the unofficial soundtrack to the Israeli Occupation. 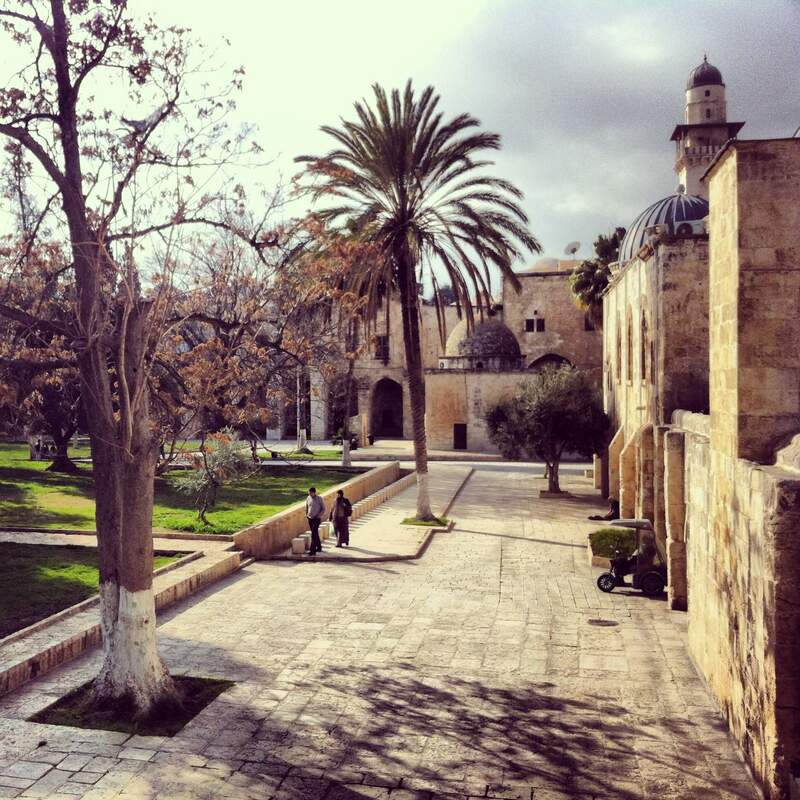 The songs tell stories of Palestine’s beauty, its old cities and vibrant landscapes. They tell of the way that people of all faiths had harmoniously co-existed in Palestine for centuries before 1948, and of the resilience that its people showed in the face of loss. I am no stranger to these stories. Long before I started listening to Fairouz (an act that some jokingly call an Arab birth-right), my maternal grandfather would speak to me of this beauty, of his city Jerusalem and of family – even though he himself was very young when my family was exiled from Palestine. I grew up listening to my grandfather recount his memories and those told to him. I spent years of my childhood and adolescence reading every book and article about Palestine that I could get my hands on. I watched all the documentaries. I even wrote my thesis about language and representation of Occupied Palestine in the media. Until finally, after long last, I had the chance to visit Palestine myself just a few summers ago. Aside from my grandfather, I remain the only person in my mother’s entire 70-plus member Lebanese-Palestinian family to have stood in the Holy Lands. And despite being armed with stories of torn families and stolen homelands, nothing could prepare me for what I saw during my time in the Occupied Palestinian Territories. Reality was far worse than the romanticised image that had long inhabited my mind. In fact, it was so terribly twisted that I doubt even Orwell could have stomached it. This is precisely why memories passed down through generations are one of the most important forms of resistance for Palestinian people. Personal stories like that of my grandfather’s are not unique to him. There are so many more – a mesh of details – and all with different endings but always the same theme: millions whose existence is marred by the prolonged, illegal, military, economic and political Israeli occupation. 67 years ago last weekend, the state of Israel was formed. With it came the expulsion of more than 750,000 indigenous Palestinians from their homes and into the refugee life that remains a reality for millions to this day. Palestinians remain one of the longest cases of refugee and internally displaced person (IDP) crises in the world today. Palestinians worldwide mark the Nakba, or the “catastrophe”, as the beginning of the illegal Israeli military occupation that has since denied Palestinians their basic human rights and subjected them to a regime of apartheid. 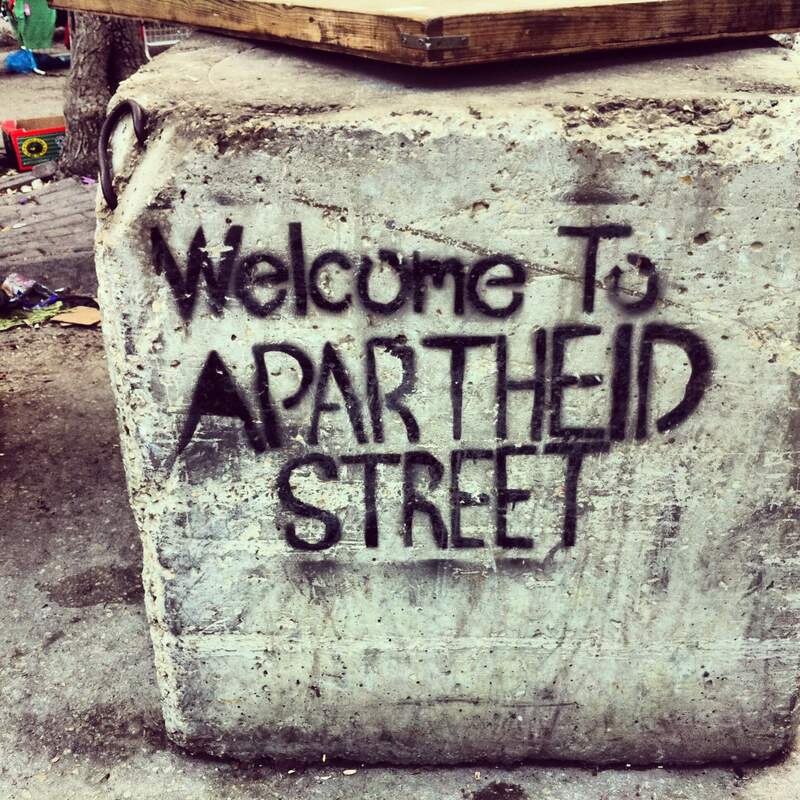 Israel systematically and institutionally discriminates against Palestinians in all areas of life on a daily a basis, extending to citizenship and nationality, residency rights, land ownership and inheritance, lack of access to basic health care and education. None of this should come as a revelation. It’s something the Western world witnessed – at times perpetuating it and at others turning a blind eye to it – for decades. When I returned from my trip that summer I felt traumatised, but mainly I was severely confused. During the trip, all I could see was a people very close to losing hope. How could they not, given the gravity of the oppression and the daily humiliations they had to live with? I remember naively, perhaps self-righteously and even a little selfishly, asking the range of Palestinians we met – from those in the refugee camps and the holy sites of Bethlehem to those in the Tulkarem villages, as well as the Bedouins and the farmers in the Jordan Valley – how can we help restore that hope? These are the feelings that must be honoured to counteract in any small way the injustices they continue to face; the stories must be shared as promised. Because in a war of oppressor and oppressed, in the struggle for power on a local and global stage, Palestine doesn’t come close to competing with a mighty Israel whose sole purpose is to ethnically cleanse the state of Palestinians and slowly but surely strangle the life out of them. Israel works on reframing the narrative. It reverses facts and rewrites Palestine’s history – appropriating its food, erasing its culture and dehumanising its people – all of which leads to a callous indifference and, eventually, outright war, bloodshed and murder. This is why Palestinian stories must be shared time and time again, to ensure that the world does not forget. There is a strength in these narratives and their nuances that bind into collective memory more than 750,000 stories, each of them a perspective that comes together to give us a clearer picture and a more humane insight into a catastrophe that the victor has tried to rewrite. Historians and anthropologists believe that the meaning people will derive from a certain event is as critical as the actual event itself – even when people have different or conflicting memories of what happened. 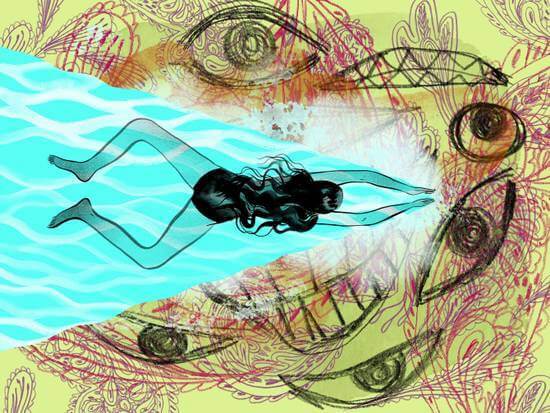 Memory is fallible and unconsciously flawed, but what seems to be most important is the nature in which the event and its consequences have impacted individuals as well as the community. Despite the divisions among Palestinians themselves (based on religion, politics, money, geography and refugee status), remembering the Nakba can significantly impact individual and social consciousness, from trauma and mourning to anger and – ultimately – cathartic self-recognition and healing. Memories must be acknowledged, and the stories of those who lived through the Nakba must be retold through the generations to honour the struggle and suffering of Palestinians but also because remembering allows a society to reconcile the before and the after and to better understand its present and reflect on its future. Remembering allows us to decide where we go from here: politically, psychologically and emotionally. Palestinians know the stories. We hear them year after year and hand them down from generation to generation. They are lived events turned into memories then carried by my parents and passed to me so that these memories and stories become mine, and will continue to be carried down to future generations despite Israel’s best efforts to stop this (efforts that include criminalising the commemoration of the Nakba). 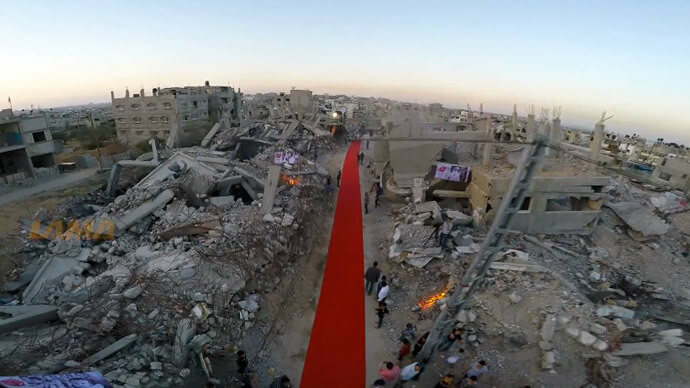 Red carpet in Gaza for the Karama Human Rights Film Festival. The necessity of this process has seen Palestinians become creatively adept at infusing the art scene with their stories, whether through viral videos of spoken word poems or by showcasing films in international film festivals. The quest to preserve and tell these stories is shouldered with so much resilience that last week, Palestinians defiantly premiered the first ever film festival amidst the very ruins of Gaza City itself, naming it the Karama (Dignity) Human Rights Film Festival. Palestinians will keep remembering until that point where, as refugees, Palestinians can return. That is the “after”. The Israeli Occupation must be brought to an end in accordance with international law. Until then, the international community has a moral and ethical responsibility to challenge the regime, to stand up in whatever way it can for justice, equality and freedom of Palestinians. Globally commemorating the Nakba and helping Palestinians to pass on their stories is just one small part of that. It is a necessary display of solidarity in only the hopes that the same injustices won’t be repeated time and time again to Palestinians – or to any others. The upcoming 2015 Sydney Film Festival will screen two Palestinian films on June 6 and June 9. Times and tickets can be found here. Sara is a human rights and refugee advocate, grassroots activist and creative artist/performer with almost a decade’s experience of work at various NGOs, including Amnesty International Australia. Sara regularly speaks and writes on refugees, Palestine and the politics of language and identity. She has been published widely across national media. She tweets at @SaraSalehOz. I am not a Palestinian, but I have learned about the nakba, and I will remember and share the story.